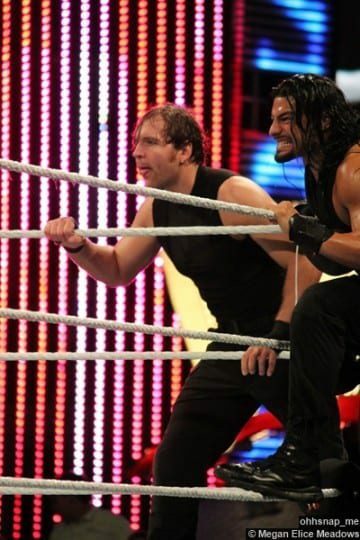 How did Roman Reigns prove to Sheamus and The Authority that he is ready for anything? How did Paige react to once again coming up short in her quest for the Divas Title? Who were the victims of a newly focused Wyatt Family? Who crashed The New Day's unique anniversary celebration? Who walked out of Survivor Series as the brand new WWE World Heavyweight Champion and how was Triple H a key factor? Was The Undertaker & Kane able to overcome The Wyatt Family on a historic night for "The Deadman"? Who emerged from a an emotionally-charged battle as the Divas Champion? With seven matches officially announced for Survivor Series, what is in store for the 29th installment of WWE's Thanksgiving tradition? How did the four Semi-Finalists co-exist in tag team action? What message did the Brothers of Destruction have for The Wyatt Family? How did Miz TV descend into chaos? Who saved Kalisto from a New Day beatdown? Who survived a Traditional Survivor Series Elimination Tag Match pitting Team Rollins vs. Team Reigns? What bold display did Bray Wyatt have in store for everyone? Who emerged from a Fatal 4-Way as the new #1 Contender for the Divas Championship? Who made a surprise return to join Team Reigns in the main event? Who stepped up to answer Bray Wyatt's Face The Fear Challenge? Who emerged from a festive Street Fight between Dolph Ziggler and The Miz? Who revealed themselves as the party responsible for the attack on Natalya? Which team won the Tag Team Terror Four Corners Match? Who emerged from a wild Fatal 4-Way Match as the new #1 Contender for the WWE World Heavyweight Title? What happened when Kane tried to get his hands on Bray Wyatt? How did Paige finally show her true colors? How did Roman Reigns pick up some momentum heading into WWE Hell in a Cell? Who made their unexpected debut on SmackDown during Miz TV? How did Charlotte & Becky Lynch respond to Paige's pleas for forgiveness? What did Corporate Kane have in store for Seth Rollins?